Chanel makeup pro, on why we should we use less foundation and take more time to apply it. British-born Kate Lee spends her time making the world’s most beautiful—more beautiful. 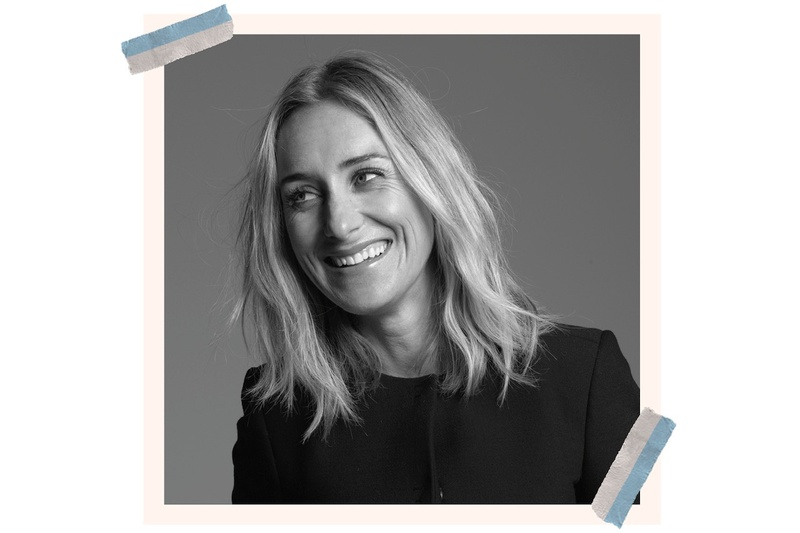 As a makeup artist to the stars and a Chanel ambassador, and having worked with Charlize Theron, Dakota Johnson, Anne Hathaway, Keira Knightley and Rooney Mara, she is responsible for some of the most memorable beauty looks to walk the red carpet. Lee has also been the mastermind behind beauty editorials for Vogue, Vanity Fair, and Bazaar, and worked on campaigns for Gucci and Dior, to name only a few. Lee’s first magazine work on a young Kate Winslet, was published not long after she finished a degree at the London College of Fashion . Kate Winslet soon began to request her for shoots and premieres, and before she knew it, Lee was working with a host of burgeoning stars, solidifying a name for herself among London’s chicest set. When a friend suggested she cross the pond to Los Angeles to further her career there, Lee followed the advice, and well more than a decade later, she is one of the most in-demand makeup artists in Hollywood. What’s your age and where do you live ? I’m 46 and live in Pasadena. Who are some of the clients you worked with this awards season? This season I worked with Charlize Theron, Rachel Weisz and Lucy Boynton. Was there a certain trend you saw that you loved this year? I found the red carpet very inspiring this awards season. I loved seeing artists incorporating colors in place of neutrals and metallics. Everyone seemed to be celebrating their own unique beauty and exuding a very powerful, personal image. I meet extraordinary people—not just celebrities, but also the people in their orbit. “Talented, gracious and empathic” are just a few words I would use to describe the incredibly talented folks I have met over the years. I feel fortunate to cross paths with so many great artists and influential people and the best part is, I get call some of them my friends. The travel is also a big plus. How do you feel now that awards season is over? I think every artist feels a sense of achievement when the season is over, especially if you are working with someone who is nominated and promoting their movie. It’s even better when they win! You are British but live in LA—is the approach to beauty any different ? In these times of social media, trends can become global in a heartbeat. Different countries have different thoughts on what is attractive in relation to makeup, but I think that in terms of inspiration we’re all drawing from the same sources, and that creates a global sense of what is considered beautiful. What are the three things you absolutely always have in your beauty kit? Chanel Hydra Beauty Camellia Water Cream , a black Beautyblender and In Fiore Fleur Vibrante Face Balm. What about in your own purse? Chanel Inimitable Mascara and Tatcha Camellia Lip Balm . What is your personal beauty regime? My routine has pretty much always been the same. I studied to be an aesthetician as part of my journey to become a makeup artist, so I learned very early on the importance of having clean skin. I am vigilant about exfoliating to make sure I’m showing my newest, shiniest skin cells, and so I don’t become congested or dry. I use masks a lot, sometimes applying a clay mask underneath a hydrating sheet mask. I also love Chanel Hydra Beauty Masque Du Nuit Au Camélia Sleep mask. It’s a beautiful gel formulation and comes with a little silicone pétale, which you use to apply it. It’s not only decadent, it’s also very effective, nourishing your skin while you sleep. As you’ve gotten older, how have your skincare and makeup routines evolved? Getting older is a privilege, and I am trying to embrace both my grey hairs and the many expression lines I have gathered along the way. With that said, I am not against preventative measures to help me grow old gracefully. Once a year I have a few artfully placed shots of Botox to prevent the more prominent expression lines from becoming too deep, and every now and again I invest in an IPL laser treatment to combat dark spots and redness. My belief is that it’s about balance and doing your homework when it comes to more invasive treatments. Skincare wise, exfoliation, hydration and protection from the sun are my priorities, and my makeup is becoming more and more minimal. I am very specific about concealing these days, using two to three different concealers for different tasks. I use a more pigmented concealer for discoloration; a lighter, brush-type concealer under the eye; and something very opaque and matte to conceal any blemishes. I also avoid placing makeup on areas of the face that move a lot, such as laughter lines or the nasal-labial fold. What’s the biggest trend you’re seeing for Spring makeup? I’m happy to see we’re moving away from the very sculpted and painted complexions of the past few years and revealing a more realistic version of skin. It’s like beauty is having its own version of spring cleaning. What is your advice on applying makeup as we get older? Use less base and place it well. Also, move away from sparkly products as they tend to enhance the texture of the skin beneath. Heavy powder and foundation also start to become less flattering as we age—seek out a lighter formula that needs little-to-no powder. Less is most definitely more when it comes to base when you are heading into your 50’s and above. Get yourself a magnifying lighted mirror—both for your vanity and a mini-magnifying mirror for your purse. Simple Human has a fantastic one for the vanity which can be charged to use away from the socket. It has numerous strength magnifications and has revolutionized my makeup routine! One of my favorite products for women around my age is Chanel Les Beiges Sheer Healthy Glow Moisturizing Tint Broad Spectrum SPF 30. This light-as-a-feather base provides a hint of color and a luminous refined finish. Pair this with a dampened beauty blender, and it creates a kind of soft-focus filter for the complexion. Also, be sure to use a great eye-makeup remover to make taking it off effortless—the delicate skin around the eye needs to be given respect as we age, so you want the formulations to break down easily and slide off rather than having to rub them away with a washcloth. Do you have one beauty hack that really works? Personally, I think spending time on your appearance is time well spent. Applying makeup is a ritual for most people. I don’t believe in rushing or skimping on the time it takes to maintain a look. Take the time you need to maintain your look, and you will always look your best. I spend a lot of time in nature in between work, which provides me with endless color inspiration. I also love to visit my local museums and botanical gardens as they never fail to inspire and amaze me. You’ve managed to create a great social-media presence on Instagram. Why do you like Instagram as a medium, and how do you make it work for you? I can admit to having a love-hate relationship with social media. That being said, I absolutely lean into it, because it’s now a non-negotiable part of my job. I also think it’s pretty cool you can communicate with a wide-ranging audience and speak to people who love makeup and are interested to see what you’re up to. You are a longtime Chanel makeup artist—what does that mean in terms of what you do with the legendary house? I’m now in my 14th year as a Chanel makeup artist. Not only do I get to work with the most amazing people and products, I also truly enjoy being part of the Chanel family. It’s a privilege as a freelance artist to be associated with such a prestigious brand, and I feel fortunate to be able to collaborate with my friends in fashion and beauty to create beautiful images that promote new collections and events. I think that the best gift I ever received was an iPod. Having an iPod not only revolutionized the way I listened to and collected music but also lead to me to purchasing my first laptop, a digital camera, and just generally improving my communication skills. A bucket-list trip to Japan. Teleportation! Not just to anywhere in the world, but also to the past and the future. Please! Currently, Japanese denim, Balenciaga trainers and my favorite Studio Nicholson trench coat. If you had a warning label, what would it say? I am self-employed, so if you see me talking to myself, do not interrupt—I’m having a staff meeting.